This entry was posted in Donald Trump, Election 2016, Immigration, Politics, The Economy, Trade and tagged Pat Buchanan, Sam Francis. Bookmark the permalink. 4 Responses to Pat Buchanan and Sam Francis Won Last Night! Concerning foreign affairs, Trump differs in significantly from the Buchananite, paleo right. 1) Trump is friendly toward Israel. In Buchananite parlance, he is in the “Amen Corner.” He recognizes that, with respect to Islam, Israel and America have common interests. Israel is seeking to preserve its national and ethnic identity and enforce its borders, just like America. Rather than hypocritically accuse Israel of racism for seeking to remain a Jewish state (as many on the paleo right do), Trump respects the imperative of a Jewish state to remain Jewish. 2) Trump is opposed to the Iran nuclear deal. The paleo right, if Buchanan is any indication, favor it. 3) The paleo right mostly blames Islamic hatred of America on our foreign policy in the Middle East, and our alliance with Israel. Trump believes that Islamic hatred of America is driven not only by reaction against our foreign policy, but by the nature of Islam itself. Islam is incompatible with the West. Long term, Islam seeks the subjugation of the West, replacing its culture with Islamic culture and religion. The paleo right tends to ridicule this view as imperialistic and warmongering, forgetting that global Islam was hostile to America and the West long before Israel came along (see the Barbary Wars). In this the paleo right makes common cause with the Noam Chomsky Left. 4) The paleocon intellectual Trump most closely resembles is the late Lawrence Auster, not Buchanan or Francis. Trump is opposed to any appeasement of the Islamic world. He is not a defeatist who thinks Islamic terrorism and hatred are the fault of the United States. He supports the Israel/Anglo alliance. Trump favors restrictions on Islamic immigration, specifically because Islam is a unique threat to the West. Auster was a proponent of all of these views, and got no love from Buchanan or Francis or Taki for holding them. your point 3 is incorrect. Paleoconservatives have always wanted to keep out Muslim immigration. Buchanan is without question stronger on keeping Muslims out than is Trump. Paleoconservatives tend to say Islam is an immigration problem. Paleolibertarian Justin Raimondo is another matter. However, it’s fully possible his immigration position is only for appearances. Blowback is a real phenomenon. 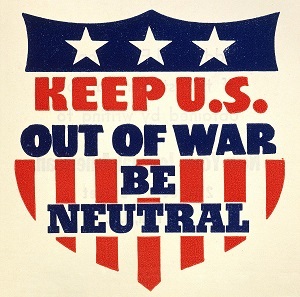 US wars have greatly harmed US interests in the ME. Auster was Jewish, thus had a special attachment to Israel. Buchanan isn’t Jewish. Trump might truly care for Israel, or he might not. His daughter and her children are Jewish. I’ve tended to be more pro-Israel simply because Israel is powerful. And there’s no sense in challenging its power. The ideal then is to try to bring Israel to a stable position where it no longer wishes to attack others, meaning the US then no longer has to attack others. Part of Israel’s aggressiveness is due to its desire to consume Palestine. Maybe that’s a necessary expansion. Wars in the ME are very much against my personal interests, so I want the wars ended. I might change my position if I thought Israel’s desired expansion is to become vastly larger. The wars destroy archaeological heritage in the region and destroy ancient communities, traditions. That’s what I wish to protect. I’m not Jewish, so destroying an entire region to pave the way for a Jewish state isn’t a dream of mine. Such obviously doesn’t mean I hate Jews. I simply don’t wish to destroy a region and all its heritage for Israel. It seems to me Jews could move to another part of the world to much more easily carve out a state. A real problem with Auster was if someone challenged him on Israel, he’d play dumb, avoid the question, or even block the person outright. There was no debating the matter with Auster. One could never discuss Israel logically with him. The reason of course is that Auster didn’t want to discuss the matter. The things you talk about, battling Islam etc. None of that is real. The best way to defeat Islam is to end the wars. The warring creates radicals and undermines the moderating influences on Islam, not only secularisation but also tribal and national ties. And we see how Neocons tend to want Muslim immigration into Europe and into the US, presumably in order to stir up a global movement against Islam. Also, immigration creates rootless Muslims (living in Europe) who readily join movements like ISIS. So, to be clear, the same leading proponents of endless war against Islam also support Muslim immigration into the West. What exactly Trump believes remains to be seen. Cruz might well be a true believer in Israel. I get the impression that Trump likes Israel but not war. Trump ran on defeating ISIS and leaving. If he endorses a one-state solution in Israel, it could be a great step towards lasting peace in the region. Or not. Whatever the case, America is dying in its service to Israel. Stability is needed. To the contrary, Auster was perfectly willing to accept debate on his site. The problem was that he did not accept the emotional and illogical argumentation so common on the antiwar right. Auster documented Buchanan’s and Scott McConnell’s comments on Islam. Both men essentially took the position that Islam was a religion of peace, and that we needed to give the Muslim terrorists what they wanted, in the hope they would leave us alone. IOW, appeasement. When America was attacked, the response of Thomas Fleming, Joe Sobran and Buchanan was to ponder what America did to deserve the violence, and then proceed to blame America for the violence, completely ignoring the long-standing animus of Islam against the Christian West. The reason for this? No matter what, Israel and the neocons had to be wrong, had to be blamed. The paleos hate the neocons and Israel more than they want to preserve America or defend America. Apropos appeasement of Muslims, If you think this is what Trump favors, or what Trump will be inclined to do, especially if America is attacked by terrorists, you don’t know Trump. Trump is not an obsessed blame-America-firster. To dismiss Auster’s thinking because he was ethnically Jewish is the very definition of prejudice. Since you’ve proved where your mind is, I see no need to continue further.